Lab and Radiology Result Routing. Beechwood was working with HEALTHeLINK and AOD to have lab and radiology results routed from their lab and radiology providers into the AOD software using Health Level 7 (HL7) messaging. 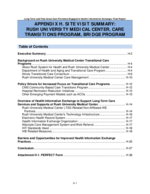 Automate Interventions to Reduce Acute Care Transfers II (INTERACTII)6 and Situation, Background, Assessment, and Recommendation (SBAR)7 Process. 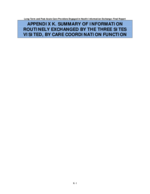 Currently Beechwood is completing the INTERACTII process manually at the point of transfer to the hospital (INTERACTII includes transfer of care protocols and documentation). Beechwood is working with AOD to use automation and the clinical application to complete the information. 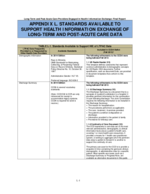 Beechwood administration would like to see the nursing staff use the SBAR tools because it provides useful information for analysis of data and communication with physicians. Physician Order Entry. Currently the long-term care pharmacy handles the medication orders and related reports (physician order summary, medication and treatment administration records). 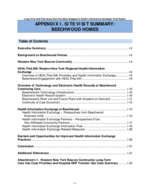 In 2013, Beechwood would like to begin their project to move physician ordering through the AOD system. Automate the physician order process to have orders entered into AOD and pushed to pharmacy. A VPN link has been established with Buffalo Pharmacies and data transfer issues will be addressed next. AOD currently uses HL7 messages to send ADT information and medication order information to pharmacy with basic elements. 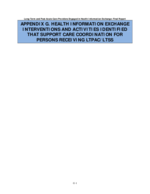 AOD will migrate to National Council for the Prescription Drug Programs 11.x once the standard is completed. 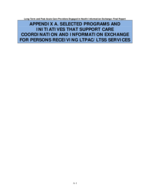 AOD has the capability of incorporating admission orders from the hospital if medications are sent in a CCD format, however, at this time the hospital does not send the information in an electronic, standardized format. 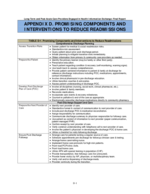 Train more users on report capabilities of the application to better optimize the use of information to support clinical and business decision-making. AOD has many reports built into all areas of the program including daily and weekly census, clinical reports such as falls, infections and skin condition, daily charting reviews, activity of daily living (ADL) reports, missed charting report, case mix index reports, quality measures report, multiple financial and billing reports. Improve workflow and in-box messaging to notify pertinent staff that something is late or has been missed. 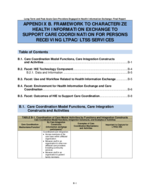 Work with Medicare liaisons to streamline their process and use of AOD. 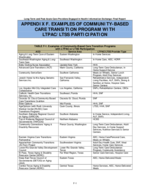 Implement ongoing evaluation of documentation processes to identify opportunities to complete in AOD application and move away from manual processes. 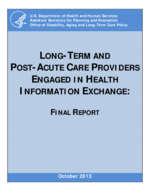 INTERACT II is a quality improvement program to manage acute changes in condition and provide tools for assessment and communication when sending the patient from the nursing home to the hospital. http://interact2.net. 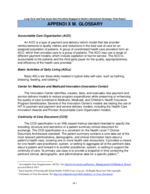 SBAR documentation tool that prompts the nurse to collect comprehensive information prior to calling the doctor to report a change in condition.